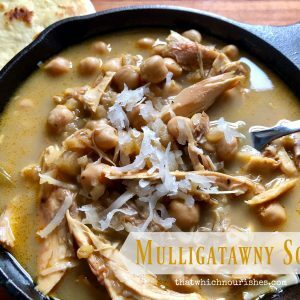 Mulligatawny Soup is a rich and intensely flavorful soup that combines warm and exotic spices with creamy coconut milk, chicken, and chickpeas to make a feast for your senses. It’s got curry to heat it at the back and a bit of sweetness tucked in to the rich and savory broth. This is a recipe that I wish I could make for you and have you sample so you could understand the beauty of this combination of spices. 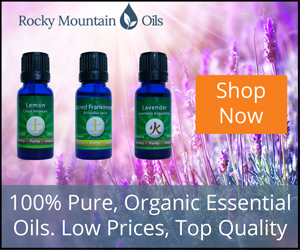 One little taste is all it would take for you to realize that this is not your average chicken soup. 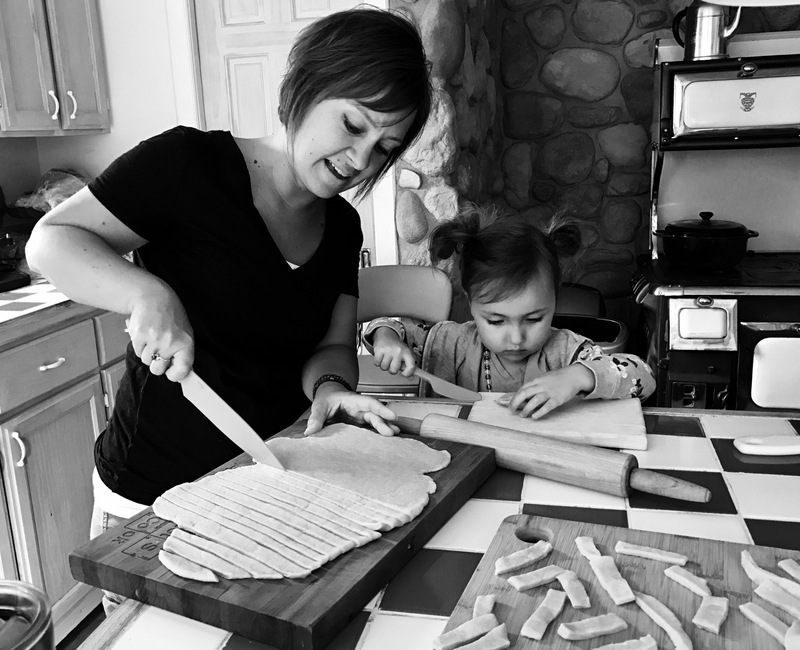 You know I’m going to always try to give you options for the quicker method for a soup and the long version (the one I will probably always make) depending on how much time you have to invest in a recipe. Longer version: I start with a whole chicken that I cook in the crockpot. I save my veggie scraps from the week (did you know onion peels and outer layers contain tons of vitamins and flavor?) and add in salt and pepper for flavor, fill the whole pot with water, and cook on high for a few hours until the chicken floats and the meat is cooked through. I then remove the meat from the bones and refrigerate until later, put the bones back in the pot and continue to cook for at least 18 hours and up to a couple days to extract all the healthy goodness from the bones. This will also provide the broth I use in any soup recipe. Extra goes in the fridge for other recipes throughout the week or gets canned for later! Shorter version: Use the meat from a cooked chicken and the best boxed (low sodium) broth/stock you can buy. and 2 c. carrots into small pieces. In a large soup pot, add 1/4 c. butter and heat over medium heat. Add in the chopped onion, apples, and carrots and sauté for 3-4 minutes or until softened. Add in the garlic and sauté for another minute or so. Add in the spice mixture and stir over the heat for 2 minutes or so. The spices will toast and fully release their flavor. Pour in 8 cups of chicken broth and stir to combine. Bring this to a boil and then reduce heat to a simmer. Now it’s time to create texture by using a stick blender or a regular blender (work in small, cooled off batches so it doesn’t explode out of the top!) to blend everything up into a beautiful base. Don’t forget salt and pepper! I start with 1 T. of salt and 1 1/2 tsp. black pepper and adjust to taste before serving. Let this amazing mixture simmer for at least 30 minutes to marry all the flavors well. 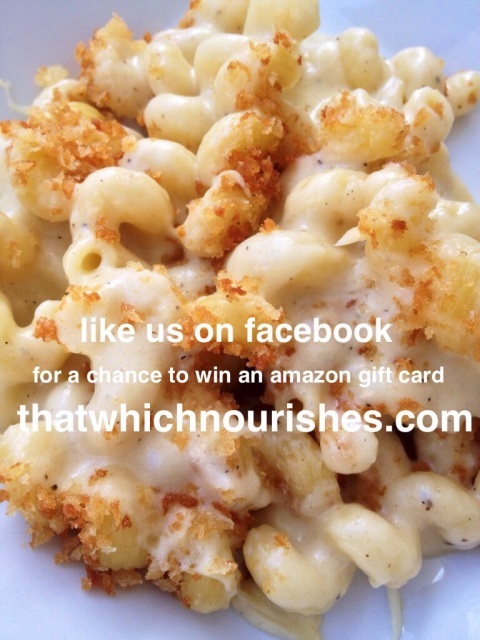 You can add a cup of so of white rice 30 minutes before serving if you’d like the extra texture. 10 minutes before serving, add the meat of a whole chicken that’s broken into bite-sized pieces back in to the soup and let it warm up. Taste for seasonings and add more salt and pepper as needed. Garnish each bowl with sweetened coconut flakes. And there you go! 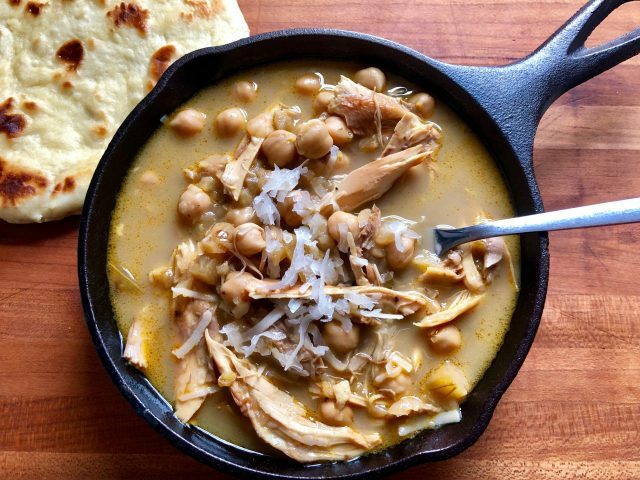 A new chicken soup that’ll nourish your body and tastebuds!! 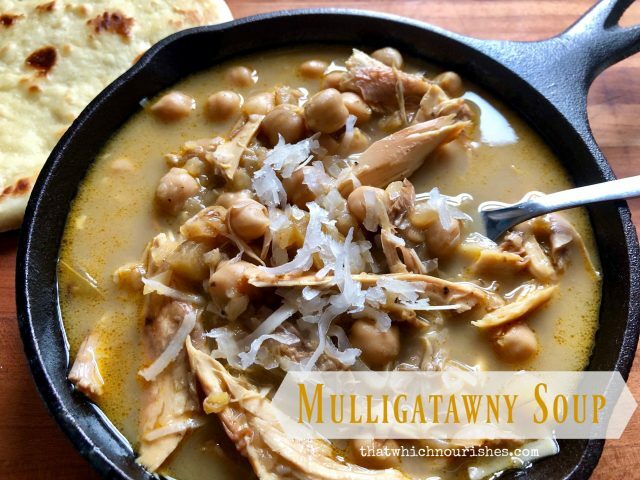 Mulligatawny Soup is a rich and intensely flavorful soup that combines warm and exotic spices with creamy coconut milk, chicken, and chickpeas to make a feast for your senses. Option One: Put a whole chicken in the crockpot with any veggie scraps and cover with water. Add salt and pepper, and cook on high for a few hours until the chicken floats and the meat is cooked through. Remove the meat from the bones and refrigerate until later, put the bones back in the pot and continue to cook for at least 18 hours and up to a couple days to extract all the healthy goodness from the bones. This will also provide the broth I use in any soup recipe. Extra goes in the fridge for other recipes throughout the week or gets canned for later! Option 2: Use the meat from a cooked chicken and the best boxed (low sodium) broth/stock you can buy. Chop onion, apple, garlic, and carrots. Combine the spices: (ginger, curry, cumin, smoked paprika, cinnamon. In a large soup pot, add ¼ c. butter and heat over medium heat. Add in the chopped onion, apples, and carrots and sauté for 3-4 minutes or until softened. Add in the garlic and sauté for another minute or so. Add in the spice mixture and stir over the heat for 2 minutes or so. Pour in 8 cups of chicken broth and stir to combine. Bring this to a boil and then reduce heat to a simmer. Use a stick blender to blend everything up into a beautiful base. Add coconut milk and chickpeas (garbanzo beans). Simmer for at least 30 minutes to marry all the flavors well. If desired, add a cup of so of white rice 30 minutes before serving if you'd like the extra texture. 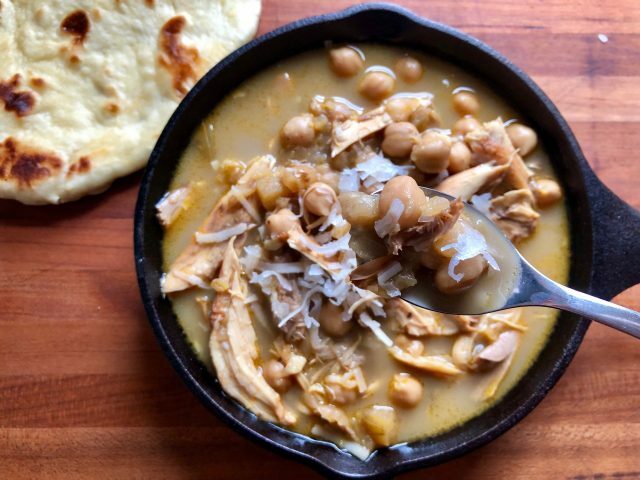 Ten minutes before serving, add the meat of a whole chicken that's broken into bite-sized pieces back in to the soup and let it warm up. Taste for seasonings and add more salt and pepper as needed. Garnish each bowl with sweetened coconut flakes.